There are many ways to say ‘goodbye’ when we finish a telephone call – bye, good bye, see you later and bye bye, to name a few. But how do we get to move into a closing sequence where these forms are used? Melissa Wright looked at how we end a conversation topic and move into a closing sequence where ‘goodbyes’ are exchanged by analysing 109 naturally occurring telephone conversations between speakers of British English. We can see that in turn (3), in response to Bodwin’s reaction to the news, Lesley replies with yep. This acts as the first part of the MST turn and draws a line under what they have been talking about. Wright notes that a limited range of words can be selected for this job and that yes or yep are usually recruited in this position. Following this, and a slight pause, the second part of the MST turn can now be said, in this case okay then. Once again, although other words and phrases were used in the data, such as alright, right and right-o, okay then is generally favoured. In addition, Wright notes that it seems to be the caller who produces the MST turn as opposed to the person being called, and this is true of the above example since it was Lesley who called Bodwin. (5) Alex: okay but wait a minute uhm uh how are you? We can see in turn (4) that Ilene uses the first part of an MST turn, yah, followed by a long pause. When no response comes from Alex she continues with the second part of the MST turn which is intended to initiate the closing. However, Alex doesn’t accept this move and instead introduces another topic. Together with the structural and lexical similarities of MSTs, Wright examines their phonetic similarities. These are mainly to do with pitch and intonation. For example, the words in the first part always have a level or falling pitch (indicating termination of topic), while the second part has level or rising intonation (a more questioning intonation, as acceptance or confirmation of the move is sought). Thus, both the conversation analysis and the phonetic analysis of MST turns prompts Wright to conclude that each part of the MST turn has its own function in the discourse and that each of these parts also has its own phonetic characteristics which complement their function. 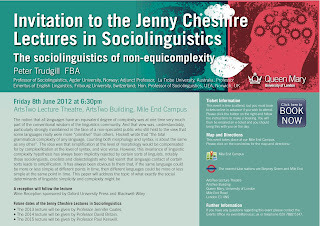 An exciting event in Sociolinguistics! 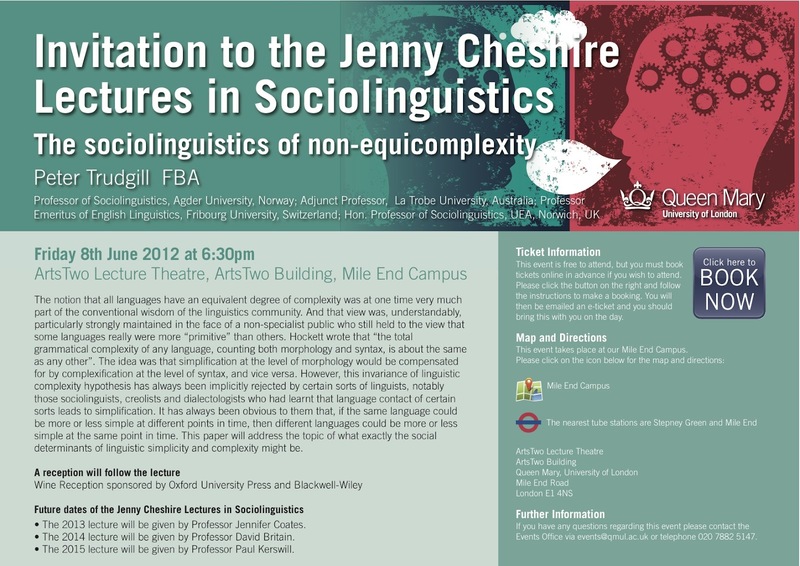 Friday 8th June 2012 at 6.30pm, Queen Mary, University of London. Click here to book your place. Authoritative grammars of the English language usually say that questions ask for information. 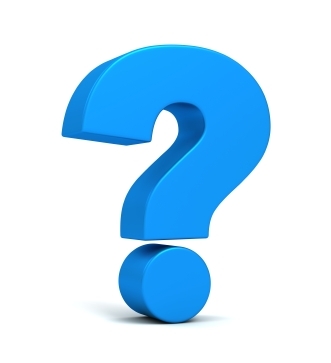 As an example of a question they tend to give a polar question – one where the answer is likely to be a simple yes or no – with an interrogative form, where the subject comes after the auxiliary verb. A typical example would be can elephants swim? where the subject is elephants and the auxiliary verb is can. Tanya Stivers’s research, though, found that although the interrogative form may indeed be the main question form when people are asking for information, in real life spontaneous conversations people mainly use questions for other purposes. Stivers analysed 350 questions from 17 video-taped conversations between speakers of American English. Most of the questions (230 in fact) were polar, requiring a simple yes or no response, but most of these polar questions were not in the interrogative form. Instead, they were mainly simple declarative utterances, such as elephants can swim. Usually, but by no means always, they were uttered with rising intonation. Declarative questions made up 63 per cent of the polar questions – twice as many as interrogatives. A small number of questions (just 6 per cent) consisted of a final tag that turned an utterance into a question (such as huh in not bad for free huh?). About a quarter of the questions began with a question word such as who, when or where. The most frequent question word was what, usually asking about something that had just been said or about objects close at hand (for example, asking what’s this?) Another form of question had two full questions joined by or, such as were you happy or were you sad? Speakers of English, then, have a variety of resources for asking a question. They can design a question that would give a yes or no response, or a question beginning with a question word that would expect a longer response, or a question that presents a forced choice between two alternatives. Despite this potential variety, though, they seem to prefer to ask a yes/no question. What about the functions of questions? Of course, people did ask for information sometimes. All the different question forms were used for this purpose, especially polar questions and questions beginning with a question word. But people mainly used questions for other kinds of social actions, such as making sure they’d understood what their interlocutor had just said, or looking for agreement, or making a suggestion. All the possible question forms were used to ask for information, but when people were checking what their interlocutor had meant or when they were looking for agreement they were more likely to use a declarative form. When they used a tag question, it was almost always to ask for agreement. Thus the relation between the form of a question and its function can reveal what kind of social action the speaker is performing and what kind of response they are expecting. Almost all the questions asked during the conversations received an appropriate reply. Very few replies were of the I don’t know or I can’t remember type, or even maybe or probably. Stivers argues, therefore, that addressees are providing the social action requested by the speaker. By giving a reply that matches the bias of the question, addressees accept the speaker’s terms rather than insisting on their independence, and maintain the cooperative nature of social interaction. Stivers, Tanya (2010). An overview of the question-response system in American English. Journal of Pragmatics 42: 2772-2781. Regular readers of this research digest will by now be familiar with the use of general extenders (GEs) in spoken discourse (http://linguistics-research-digest.blogspot.co.uk/2012/03/spoken-language-and-stuff-like-that.html ; http://linguistics-research-digest.blogspot.co.uk/2011/10/young-peoples-language-and-stuff-like.html ); these are the use of phrase or clause-final tags such as and stuff, and everything and or something. They are commonly associated with a set-marking function, with the GE marking the element preceding the GE as an illustrative example of a more general superset. So in the example, I like pizza and stuff it’s assumed that and stuff refers to other foods in a similar category to pizza, perhaps burgers or chicken nuggets. Most consistently, studies have found that GEs are used more by younger people than older people. Some studies have also suggested that GEs may be grammaticalizing*. This is because it is believed that short forms such as and stuff may have derived from a longer form such as and stuff like that and also because GEs have developed functions other than a set-marking function. Adding new insights into the use of these phenomena is a recent study by Stephen Levey. 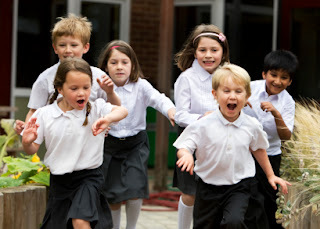 Unusually, his study analyses speech from pre-adolescents, 48 children aged between 7-11 years old who were recorded between 2000-2004 in a large primary school situated in a suburb east of London. For the purposes of the study, the children were divided into two age groups: 7-8 year-olds and 10-11 year-olds. There are many variations of GEs and Levey found a total of 38 different kinds of GE used by the children but surprisingly just three variants accounted for over 50 per cent of all GE uses in the data: and everything, and all that and and that and the children nearly always used short forms rather than the longer forms such as and everything like that. The most popular variant used was and everything, perhaps not surprising given that it is one of the most commonly used among British teenagers. The children came mainly from working class backgrounds so the high rates of and that/and all that are also in line with previous studies that have shown high usage of these variants among British working class speakers. 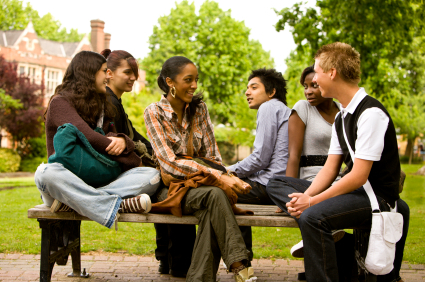 Another finding of the study was that girls in the higher age group used GEs much more often than boys, and Levey suggests (in line with other researchers) that pre-adolescence, around the age of 10, might be the time when gendered patterns in language start to emerge, as influence from the peer group increases and social distance between boys and girls becomes greater. Summarising, Levey points to one of the most fascinating aspects of the study and that is that these constructions are not ‘random or ad hoc insertions’ in speech and that children as young as 7 years old have already acquired these features of spoken discourse and use them in socially meaningful ways. Pretty clever, eh? *Grammaticalization: a term used for the process by which a lexical item (or construction) changes into one which serves a grammatical function, or when a grammatical item takes on a new grammatical function. Levey, S. (2012). General Extenders and Grammaticalization: Insights from London Preadolescents. Applied Linguistics Advance Access published March 1, 2012: 1-26. When you hear someone say Okay, what do you think they mean? Acceptance? Agreement? Reassurance? Or maybe that they’ve had enough of that topic and want to move onto another? In fact, Okay can represent a multitude of different meanings throughout our discourse and can often mean more than one thing in each case. For this reason, Philip Gaines notes that, in order to analyse Okay, we need to take into account as much contextual information as possible. In addition, we also need to consider the intonation pattern. For example, Okay with a rising intonation could signal a question and/ or uncertainty, while Okay with flat intonation could indicate acceptance or finality. Okay with falling intonation might indicate disappointment and/ or resignation. Officer: Alright. I know I can bring you to jail but that’s not my goal here okay? He uses flat tone Okay which signals the beginning of the ‘interrogation’ phase of the interview. It challenges what the accused said and lets the officer take control of the discourse again. A turn initial Okay like this is what Gaines refers to as turn initial challenging okay. Officer: So what I’m tellin’ ya is that I don’t wanna be lied to okay? Here, the person with the power in the interview is not looking for friendly agreement. Instead, he is driving home the previous statement to make sure that it is accepted. Due to the range and scope of Okay use, Gaines proposes that, rather than trying to pinpoint a ‘meaning’ of Okay, we might do better to determine its core function. He notes that the general functions of Okay stem from positive uses (such as acknowledgement and acceptance) and this can even be extended to the confrontational uses, as they may have underlying motivations of non-confrontationality. Therefore, Okay’s core function could be one of ‘positivity’. However, a wider range of interactive contexts needs to be examined to see whether, for example, Okay in tags is typically used in confrontational situations. This would provide a more complete view of Okay in action. Who makes a language change begin? Are gregarious people linguistic innovators? What kind of people are the first to use a new language feature and so kick off a change in the language? As Derek Denis points out, we can’t predict a language change before it starts, so not much is known about who introduces language innovations. However, a set of interviews from York, England, recorded about 14 years ago, unintentionally captured the start of a change in general extender forms in spoken English. This allowed Denis to investigate who were the first users of the new forms. He found that it is outgoing sociable people with many friends who were unwittingly responsible for the start of a change. In the York recordings and stuff is the favourite general extender form for the younger generation. Older people prefer other forms such as and things. A few people stand out, though, as using and stuff far more often than others of the same age. These people, then, must be the innovators – the people who started the change. There were six of these individuals, with ages ranging from 62 to 22, though most were in their early twenties. Three were male and three were female. Their jobs and the number of years of education they had completed positioned them towards the centre of the social class spectrum (for example, one woman was a waitress, another a psychiatric nurse). What they had in common was that in their interviews much of the discussion revolved around their friends and their social circles. Denis calculated a simple index of gregariousness based on the number of times each speaker mentioned the word friend in their interview. He checked that the index was valid by looking carefully at what was discussed during the interviews. Those with high gregariousness levels tended to talk about their different sets of friends or about community groups to which they belonged. By contrast, those with low gregariousness levels tended not to belong to groups, did not talk about other people much, and were sometimes difficult to interview, saying that they “didn’t have much to talk about”. There was a close relationship between high levels of and stuff usage and high levels of gregariousness. Most of those who were rated low in terms of their gregariousness did not use and stuff at all. Denis cautions that this does not mean that everyone with a high rate of gregariousness is a linguistic innovator: not all of those with high levels of gregariousness (by implication, a lot of friends) used and stuff, but all those who used and stuff much more frequently than others of their age group had high levels of gregariousness. 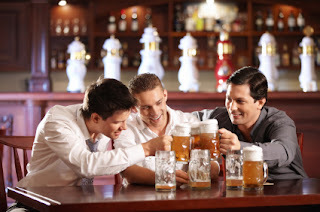 Quite simply, the more gregarious a person is, the more likely they are to talk to many people, often, and the high number of different interactions means that these people may hear novelties and then tend to use them themselves. Denis compared the type of people who were and stuff innovators in York with what previous research has discovered about the type of people who lead a change once it has got underway in a community. A striking difference is that whereas the leaders of an ongoing change are usually women, the innovators of the new change analysed by Denis were both women and men. Men too, then, can drive language change, depending on the change in question but also, apparently, depending on how gregarious they are. Denis, Derek (2011) Innovators and innovation: Tracking the innovators of and stuff in York English. University of Pennsylvania Working Papers in Linguistics 17 (2): 61-70. Would you guess the Newcastle speaker of the extract below to be over or under the age of 40? And what are the clues that help you decide? If you guessed that the speaker was over 40, you’d be right. 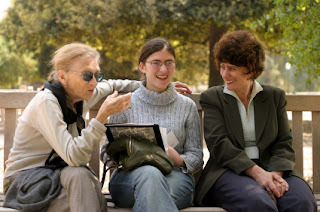 Apart from the topic of the conversation, using mainly SAY to introduce direct reported speech is typical of older speakers. There are 5 quotative expressions in the extract, and each of them is he said. Young people today might be more likely to introduce the quote with he was like or he went. If we’d asked you this question back in the 1960s, though, you may have found it harder to decide. Isabelle Buchstaller’s recent research into quotative expressions across the generations shows how the quotative system has changed in Tyneside, north-east England, over the last 50 years from one where all speakers mainly used SAY to introduce direct reported speech (as in the example in the box) to one with a richer set of quotative expressions. Buchstaller traced the way that two new quotatives, BE LIKE and GO, entered the quotative system. (The system as a whole includes THINK to introduce reported thought as well as other, less frequent, quotatives such as SHOUT and “unframed quotes” where speakers just quote what someone said without any quotative expression at all). She used three separate sets of recorded speech from people in Tyneside, recorded during the 1960s, the 1990s, and in 2007-2009. Each set was divided into younger speakers (younger than 40) and older speakers. BE LIKE and GO did not occur at all in the 1960s data. By the 1990s, they were both used, though not very often. SAY was still the quotative expression that occurred most often. When people chose to use BE LIKE it was mainly with first person subjects, to report what the speaker was thinking: for example, I was like “what?” where what is not something the speaker said but shows that they were feeling surprised. Interestingly, research in other places has also found that this is how BE LIKE is used when it first enters the quotative system. By 2007, BE LIKE had rapidly increased in popularity in Tyneside and was now the favourite form for younger speakers, especially younger women and middle class speakers. They no longer used BE LIKE to report what they were thinking, but mainly to report what had been said, both by themselves and by other people. An unexpected finding concerned the tense of the quotative expression. In the 1960s, when SAY was the main quotative, people used it in a wide range of tenses – so, not only he said but also he would say, he was saying, he’d said, he used to say, and more. By 2000, though, young people were using SAY mainly in the ‘conversational present tense’, to refer to something that was said in the past as if it was being said now, and so making their account of what someone said more vivid (saying, for example, he says “do you want it” instead of he said “do you want it”). BE LIKE and GO, on the other hand, were used mainly in the simple past tense (he was like and he went). Not only that, young people used BE LIKE and GO more often in narrative contexts, when they were telling someone about something that had happened, in the form of a little story. They reserved SAY for other contexts, when the speech they were reporting was not part of a story. Older speakers continued to use SAY in all types of context. Buchstaller’s research shows, then, that the addition of two new quotative expressions can spark off other, more subtle changes to the quotative system. In Tyneside, as younger speakers juggle with a richer number of choices to report what someone has said, they give each quotative expression a preferred tense and a preferred context. The lyrics of Alanis Morissette’s 1996 song ‘Ironic’ (http://www.youtube.com/watch?v=8v9yUVgrmPY) highlight many situations that may be described as showing irony. However, what does the term actually mean? What is the difference between linguistic and non-linguistic irony? And can we claim that all types of irony are deliberately constructed and performed? These are the types of questions investigated by Raymond Gibbs Jr. (2012). He says that irony involves many different uses of language, such as sarcasm (e.g. calling someone ‘ a great friend’ after they go back on a promise) and rhetorical questions (e.g. saying ‘isn’t it lovely weather?’ during a thunderstorm). 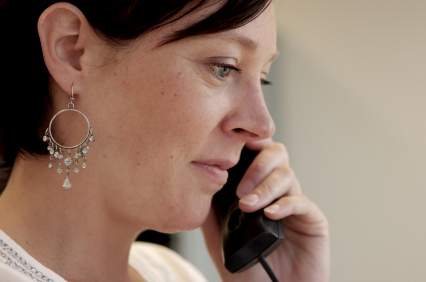 These uses help convey different emotions from the speaker and prompt various emotional responses from the listener. These are examples of linguistic irony (that is, irony which is conveyed through language). However, we can also find examples of non-linguistic irony. For example, imagine you’re watching a rugby game and the referee keeps giving penalties against your team (X) for forward passes, while the opposition (Y) seems to be getting away with them. Now imagine the referee finally gives a penalty against the opposition and the fans of X begin to clap the referee for doing a good job. This can be described as a non-linguistic ironic act. Other types of non-linguistic irony can be through the description of certain events or situations, such as a financial adviser going bankrupt or how the Austin Powers movies are an ironic commentary on the old James Bond movies. The first of these examples can be used for humorous purposes (e.g. the punch line of a joke) or may occur in real life as an accidental ironic situation. In contrast, the Austin Powers example shows a more deliberate construction of an ironic event. So, how deliberate are these acts? Gibbs notes that many scholars maintain that all ironic acts are consciously and deliberately performed. He observes that this could be considered the case for pre-planned ironies (such as the Austin Powers movies, which are deliberate on the part of the writers), but the ‘irony’ of an event or act can only be interpreted as such if the listener/ watcher etc. understands the ironic meaning. However, other types of irony, such as accidental irony, cannot be considered as pre-planned and so the interpretation of irony can only come about after the event has taken place. So what about the linguistic and non-linguistic acts mentioned above? Gibbs assesses a range of linguistic, psycholinguistic and psychological evidence relating to awareness of pragmatic meaning and concludes that general intentional desires in communication are not necessarily the same as conscious deliberate thought. In addition to this, he notes that “our conscious thoughts may only provide after-the-fact, and often inaccurate, narratives for what we do” (p. 114). Therefore, Gibbs suggests that whenever we speak we have a number of goals in mind (e.g. to convey a particular emotion) and that these goals will constrain the words we use and the bodily acts we display (which, when taken as a whole, can later be interpreted as ironic or not). As a result, we need to reassess the view that all ironic acts are pre-planned and the result of deliberate and conscious thought. Shall we get some lunch or something? We’re probably all aware of using expressions such as and stuff like that and or something, particularly when we are talking in informal contexts. 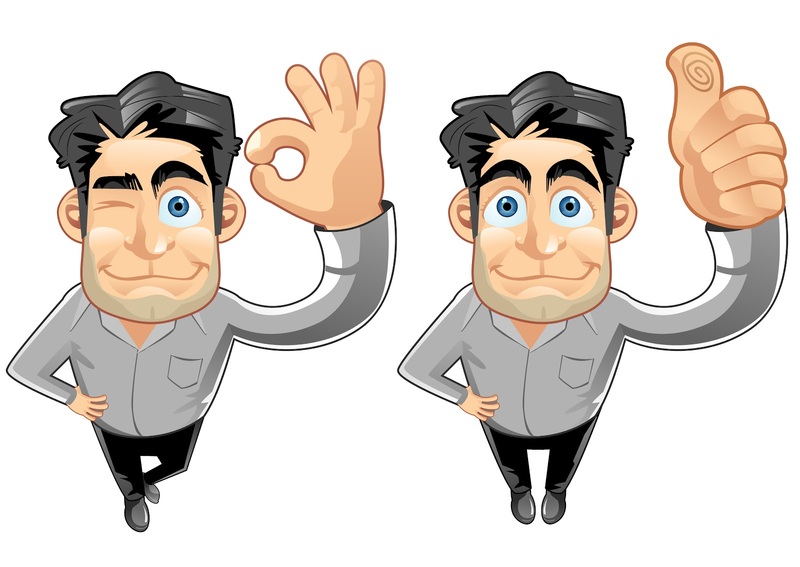 Among linguists, these expressions are known as ‘general extenders’ because they often indicate that the previous word is part of a set, so they extend the meaning of that word without having to specify all the members of the set. For example, and stuff in I used to wear punk earrings and stuff refers to a set of things that people wear when they want to look like a punk (see also http://linguistics-research-digest.blogspot.com/2011/10/young-peoples-language-and-stuff-like.html). Some previous studies have suggested that general extenders are undergoing a process known as ‘grammaticalization' (see Jenny Cheshire's paper on the topic), during which words that were formerly separate become stored and processed as a prefabricated phrase – a familiar example is going to > gonna. In the case of general extenders, some researchers argue that grammaticalization is associated with longer forms such as and stuff like that and or something like that becoming the shorter forms and stuff and or something. In addition, the constructions may develop new interactional functions and in the case of general extenders, referring to a set is not necessarily their most important function now. Sometimes people use these little words to be purposely vague, to signal that they are not quite sure about something. However their most important function seems to be to create solidarity between speakers. By using a general extender the person speaking suggests that their interlocutor shares their knowledge or opinion, so there is no need to be explicit. Researchers Heike Pichler and Stephen Levey investigated the use of general extenders in northeast England and set out to test the claim concerning grammaticalization in this feature of speech. They analysed a 260,000-word corpus collected between 2003 and 2005 in Berwick-on-Tweed, situated in the far northeast of England. The sample comprised 36 speakers of working class background, 18 male and 18 female equally stratified across three different age groups labeled as ‘young’ (17-23), ‘middle’ (27-48) and ‘old’ (60-81). They found that the most frequent form was and that which accounted for almost one-third of the 783 tokens that they analysed. Jenny Cheshire has previously argued that the form and that is indexical of British English working-class speech and the data in this study support that claim. The next most frequently used forms were or something, or whatever and and things like that which accounted for 9%, 7% and 5% of the data respectively. In total, the researchers found a further 91 forms but none of these appeared with great frequency. One thing they noted was that the form and stuff showed a gradual rise from older to younger speakers. The results also showed that males in every age group, particularly the youngest, use general extenders more frequently than females and younger speakers, as a whole, use more than older speakers. The researchers also conducted statistical tests on long forms (e.g. or something like that) against short forms (e.g. or something) as being an indicator of language change associated with grammaticalization. However, their data did not support the claim and they concluded that there was ‘little evidence to suggest that long variants are gradually being supplanted by short variants’. Furthermore, their apparent-time analysis (i.e. comparing language use among different age groups at a particular point in time) across the three age groups also led them to state that there was ‘no compelling evidence of grammaticalization in progress’. Of course, this does not invalidate the claim for grammaticalization but perhaps this study draws attention to the need to investigate the phenomenon in other varieties. The researchers themselves conclude by suggesting further avenues to be explored in relation to general extenders and discourse variables more generally. Firstly, real-time data (i.e. data collected at different points in time) would add time-depth to help determine whether change is taking place and whether grammaticalization is playing a role in any such change. Furthermore, future research will show whether the form and stuff is likely to become the default form among young (male) speakers and a ‘serious contender among the youngest generation’. Pichler, H. and Levey, S. (2011). In search of grammaticalization in synchronic dialect data: general extenders in northeast England. English Language and Linguistics 15: 441-471. Why do we sometimes address the person we’re talking to by their personal name (such as James or Anna) and at other times by a title (such as Sir or Professor)? Susanne Mühleisen points out that we can use personal names to highlight an addressee’s individuality or we can use a title to their status identity. The way we use these forms can reflect politeness and respect. The way we use these forms can reflect politeness and respect, as can the pronouns we use to address someone. Using a second person plural pronoun (such as vous in French) to address a single individual is usually considered to be polite. However, even though politeness is a universal phenomenon, it manifests differently across cultures so that what may be considered as ‘polite’ in one society may not be in another. Mühleisen explored the use of allyuh, literally ‘all of you’, as a second person plural pronoun in the English-based Creole spoken in Trinidad and found that in Trinidad it is frequently associated with an ‘aggressive tone’. Mühleisen notes that using allyuh in spoken and written Trinidad English Creole is optional and allyuh can be used when speaking to more than one person as well as when speaking to just one person. However, the use of allyuh is not random. Instead, when a speaker uses it, allyuh performs a specific function in the discourse. However, even though Mühleisen uses these five distinct categories for description, she notes that they are not so clean cut in reality. For example, the difference between aggression and humour depends on factors such as situation, intonation and the reaction of the interlocutors. Mühleisen goes on to suggest that allyuh functions as an identity marker for Trinidadians. Looking at markers of Trinidadian English used in a particular internet forum, she found that Trinidadian participants use allyuh to signal their identity to other Trinidadians living abroad. The range of application and ambiguity of meaning surrounding allyuh, Mühleisen says, makes it an ideal strategic politeness marker in Caribbean Creoles. 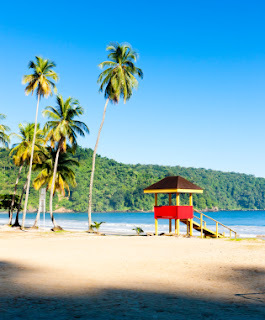 Trinidad can be considered as a post-colonial society which has been shaped by numerous cultural influences. These have left their traces on societal value systems as well as verbal and non-verbal behaviour. In Trinidad politeness patterns are influenced by both African and European traditions. In order to survive between the two cultures it can be useful to leave open alternative interpretations of what you say. In European languages using a second person plural pronoun to address an individual can be a power-enhancing mechanism. Using a second person plural pronoun to show indirectness and ambiguity instead can be seen as part of the creative process which characterises Caribbean Creole pragmatics.